Chair: Prof. Dr. Mohammed Ayoob is the University Distinguished Professor of International Relations at Michigan State University. • The limitations of the contemporary political theory in understanding the political institutions created and promoted by Islam. The contemporary political theory begins and ends with State whereas the modern sovereign nation- states and their attributes are different from the commonwealth envisaged by Islam. • The political institutions constructed and the political ethics promoted by Islam cannot be understood in isolation from their epistemological and historical root. • Neither the idealism nor the realism of contemporary international relations is in complete harmony with the politico-religious values and milieus of Islam. • The implications of a religious approach to politics and political approach to religion. • Contemporary globalization versus Islamic universalization. The elemental subject of this study is the concept of ‘nation-state’ but delimited within the bounds of two disciplines, i.e. International Relations (IR) and Islamic Studies (IslStud), particularly Political Islam and Jurisprudence. This is in part of the author’s aim of contributing to the evolving literature on the relation of IR and religion in the 21st century. The defining problem lies in the vagueness of interpretations and understanding on the conceptualization of nation-state in those mentioned disciplines while subsequently reaching a ‘via media’ of understanding. To ameliorate our focal understanding, the proponent selected two frameworks: 1) a selective mainstream theoretical IR survey, i.e. Liberalism, Realism, and Social Constructivism only, and 2) Islamic jurisprudential and political understanding of nation-state. It will humbly try to examine, analyze, and decipher the origin, idea, and operationalization of nation-state in IR and IslStud by the usage of Comparative Analytical Method (CAM). Three data analytical or coding stages under CAM will be operationalized: the first stage is setting the Textual Codes via alpha-numerical representation next is processing the Arithmetical Codes and the last step is determining the Categorical Codes. Through these CAM codes, the inferential chart of ‘compare and contrast’ will compose the result of data analysis. Thus, allowing us to categorically pinpoint inferences of similarities and differences, and further it through the use of analytical induction, which is, inducing it to specific facts or imperative details. In generalization, there were foreseen differences and/or similarities on the notions of level of analysis, sovereignty, citizenship, and territoriality. Since the implementation of decentralisation, local governments in majority Muslim regions across Indonesia have begun to promote, and in many cases pass regulations that mandate, forms of social or economic behaviour seen to be compatible with Islam. This paper situates the political construction of Islamic behaviour in West Sumatra and in Indonesia more generally within an historical context in which rulers have in some way engaged with aspects of Islamic practice since the Islamic kingdom era. Its main concern has been to show that while formal local Islamic regulations of this kind constitute a new development, their introduction has been a product of the same kinds of interactions between international, national and local elements that have characterised the relationship between Islam and politics through the course of Indonesian history. In doing so, the paper challenges the scholarly tendency to over-emphasise local political concerns when explaining this phenomenon, arguing that it is necessary to forefront the complex relationship between local politics and developments in the wider Islamic world. This contribution is concerned with the study of the nation-state and transnational nations, and their impact on ground. Though there had been attention paid tracking the concept of nation in theory , the comparative study did not receive the same amount of attention. Therefore, the study takes into account this aspect that not many researchers had focused on, nor did they pay the necessary attention to the comparative, cultural and critical methodology in tackling such a topic. The problematic around the concept of Nation is the criticisms that used to address the concept through the rising theoretical paradigms in the International Relations field. The Nation-State, which was the main –or even the only- pillar in the relations between states since Westphalia Treaty (1648), is no longer enjoying the same uniqueness due to the changes affecting the contemporary International Relations. Among of which is the rising influences of culture. Perhaps the controversy over the concept of the nation is due to its appearance in the framework of International Relations, in which the nation-state plays the key role in bilateral and multi-lateral relations between the countries. Accordingly, and on the level of the nation, the dilemma of the relationship between the national interest (of the nation-state) and the association of faith (of the Islamic nation on the one hand and Jewish Zionism on the other hand) has turned salient in the light of the global challenges taking place in the contemporary world order. **Withdrew due to financial constraint. Dr. Raffaele Mauriello (born July 1974) is an Italian historian of the modern Middle East. He holds a PhD in Islamic Civilization: History and Philology from the Sapienza, University of Rome (Italy). He has published several peer-reviewed essays on Shi'a Islam history and on Iranian and Iraqi geopolitical affairs and is a translator of both Arabic and Persian. In 2013, he was awarded the World Prize for the Book of the Year of the Islamic Republic of Iran in the field of Islamic Studies. Reflecting the growing influence of Shi‘i Islam experts in determining U.S. foreign policy toward the Muslim world, early in his first term in office Obama appointed Vali Nasr as Senior Advisor to the U.S. Special Representative for Afghanistan and Pakistan. Already facing the existing difficulties of developing a workable idea of an Islamic IR theory, scholars, practitioners, and students of IR have however shown little coherent understanding and structured knowledge of Shi‘itology. A field of enquiry in its own right, this used to belong exclusively to a few scholars of Islamic Studies within the Euro-American academia but is increasingly unavoidable for anyone interested in deciphering current Islamic political discourses and the dynamics gradually dominating contemporary international relations. 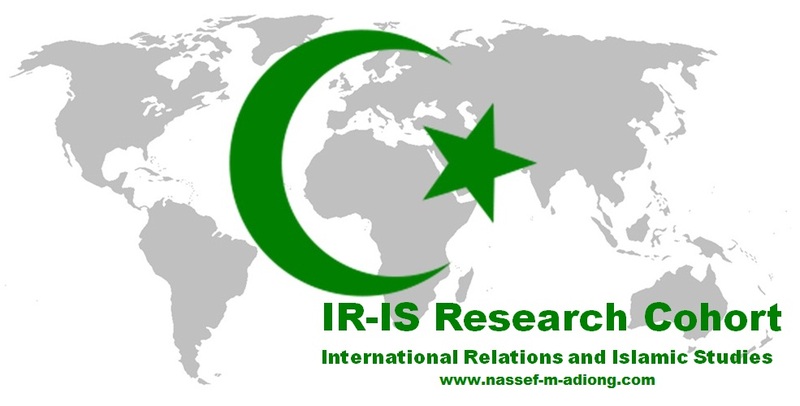 This paper delineates and conceptualizes some major frameworks and layers of understandings IR scholars should be aware of when researching the geopolitics and international relations of countries with a significant Shi‘a presence, taking as case study Iran and Iraq. In particular, it problematizes the different and possibly alternative roles that geography, Shi‘ism, and Islam play in the geopolitics of these countries.